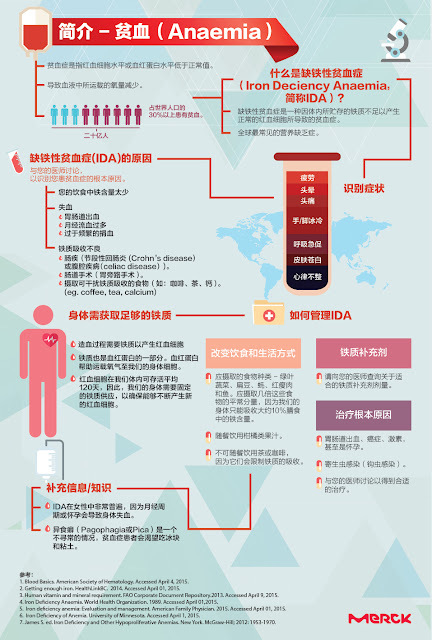 Wendy Pua | Malaysia Chinese Lifestyle Blogger: Stand Strong Against Anaemia and Win Your Day! While relatively non-life threatening, anaemia can lead to various complications if left unchecked. Major health consequences include poor pregnancy outcomes, impaired physical and cognitive development and increased risk of morbidity in children, and reduced work productivity in adults. It should be noted as well that iron deficiency anaemia contributes to 20% of all maternal deaths worldwide , and is a major concern for developing countries. 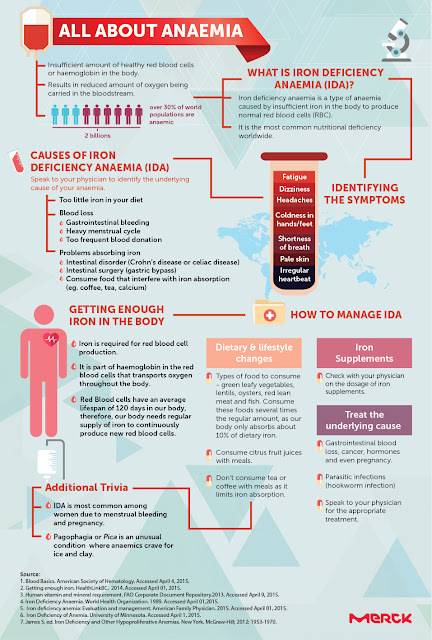 The symptoms of iron deficiency anaemia can be mild and risks are relatively unknown due to the lack of awareness and understanding. Due to inadequate oxygen levels in the body, iron deficiency anaemia patients may experience various symptoms such as – dizzy, lethargic or weak; frequent headaches; having a tingling or crawling feeling in the legs; strange cravings to eat non-food items such as dirt, ice or clay; cold hands and feet; tongue swelling or soreness; brittle nails and pale skin. If left untreated, iron deficiency anaemia can lead to irregular heartbeat, and in severe cases, lead to heart failure or an enlarged heart . affected by the sickness . Pregnant women are even more likely to experience iron deficiency anaemia because they require greater amounts of blood to support their growing babies. Working closely with medical experts, the Merck Medical team in Indonesia developed an Anaemia Risk Assessment Tool. The interactive tool helps to determine whether if one is at risk of having anaemia based on simple lifestyle and dietary information provided. Available online and free to use, it leads users through a questionnaire and a visual self-assessment tool called the Conjunctival Paleness Chart. The Chart will help users to identify symptoms of iron deficiency anaemia as a person's eyes tend to be more pale than normal due to insufficient of red blood cells and haemoglobin. This can be further confirmed through a haemoglobin test administered by a professional at a clinic or hospital. The benefits to finding treatments are substantial as well, as timely management can restore personal health and raise productivity levels by as much as 20% . ailment after being sent to the doctor by colleagues after a dizzy spell at work. A change in dietary habits, along with taking iron supplements advise by her doctor, she is now able to manage her iron levels. She highlighted that working professionals, young adults or even school students should be aware of iron deficiency anaemia as it affects their productivity at work or school. In conjunction with the ‘Win Your Day’ awareness campaign, Merck is organizing complimentary haemoglobin tests at selected pharmacies nationwide. For more information on the complimentary haemoglobin tests, and to do an initial self-check using the interactive Anaemia Risk Assessment Tool and Conjunctival Paleness Chart, visit www.WinYourDay.my. Thanks for sharing this in-depth article about anaemia. I didn't that there is an online assessment test. Will inform my friends. When I was younger, I tend to fell pengsan too often. But i was too afraid to go to the doctor until one day, I was forced to see the doctor and the doctor said i had mild anemia. I think I need to go for my check up also, sometimes I have dizziness too. Thanks for the info. You have added knowledge to me. 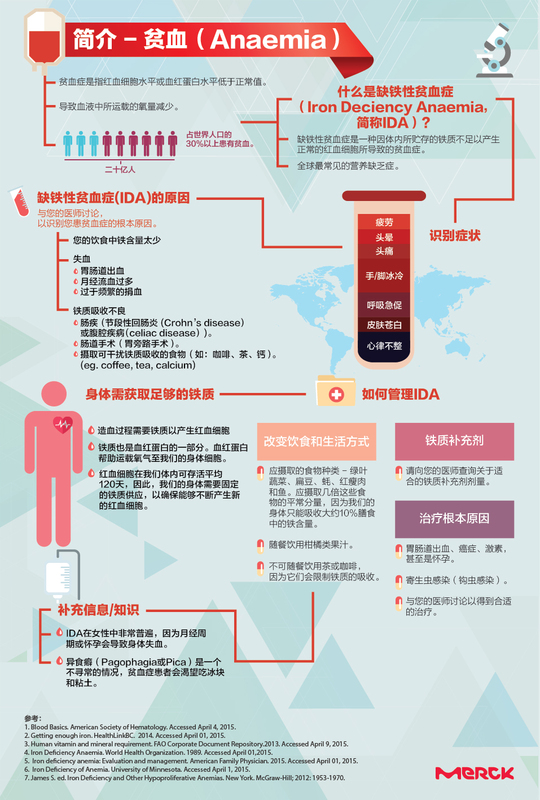 I never really read about the symptoms, factors etc about anaemia... Really thanks for the info!